Nothing says Saint Patrick's Day like a great big shamrock. Simple and symmetrical, this symbol of Irish culture is a perfect shape for kindergarten prints. 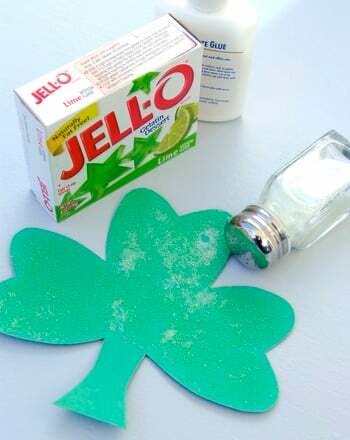 Stamp your Irish cheer on any paper surface by creating a lucky shamrock stamp! 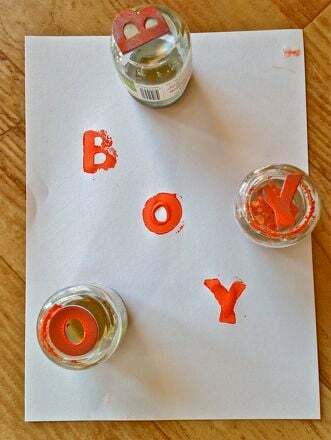 Now your kid can show his love of the Irish on cards, gift wrap or book covers while learning the basics of printmaking. 2 Cardboard squares, 6" x 6"
White construction paper square, 6" x 6"
Cover the table you're working on with newspaper. 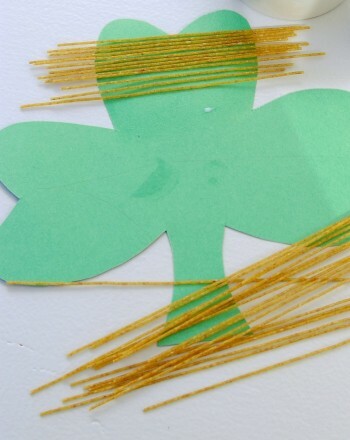 Show images of shamrocks to your child and explain that a typical three-leaf clover isn't symmetrical. However, the four-leaf clover, which is rare in nature but commonplace at any St. Pat's celebration, is symmetrical. Show him how the leaves of the clover are heart-shaped. 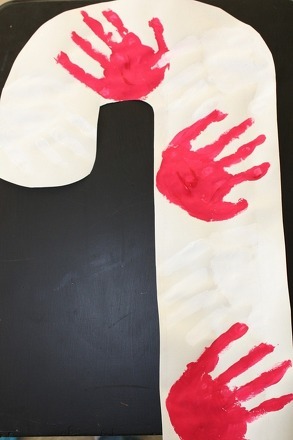 Have your child fold the white paper in half and draw half of a heart on the paper. The mid-section of the heart should meet up at the fold. This will create a template for the stamp. He can now cut out the heart shape from the paper, unfold it into a heart, and trace it on one of the cardboard squares. Help him cut out his cardboard heart and set it aside. 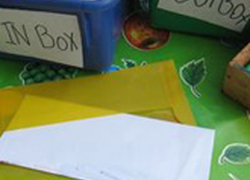 With the second cardboard square, help him bend it into a roll so it resembles a long tube. Help him glue the cardboard "tube" in place. This will become the handle for his shamrock heart stamp. Now, help him glue the end of the handle to the centre of his cut-out heart. Allow this to dry for a little while. Time to make some shamrock prints! 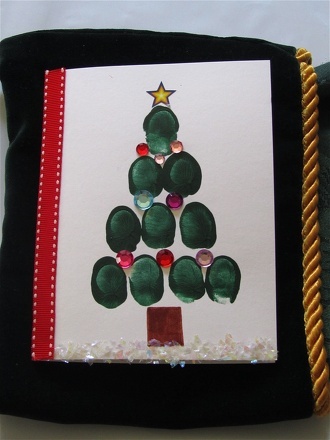 Pour some green paint onto a paper plate. Then, have him gently dip the heart into the paint while holding the handle of his stamp. Test out the stamp on the newspaper to get the correct paint consistency. 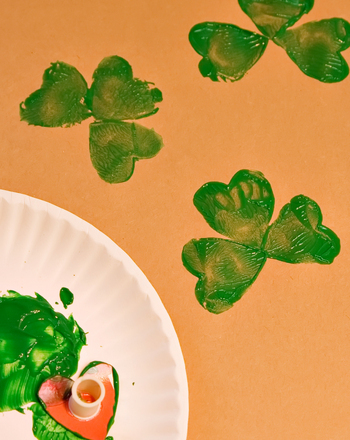 Show your child how to position the heart-shaped stamp to create shamrock prints. Use your stamp to spread St. Patrick's Day cheer! 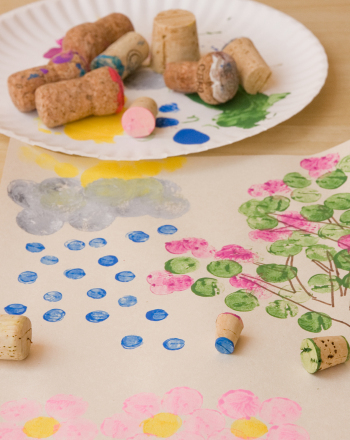 Kids have permission to get messy (just a little bit!) as they create a decorative candy cane mosaic from red and white handprints.